A schedule can be triggered to execute using the REST API. In the following example, we’ll use the REST API to first find, then trigger and finally poll to get the results from a schedule. This is somewhat technical, and to follow along you will need some experience with http, json, and command-line environments. 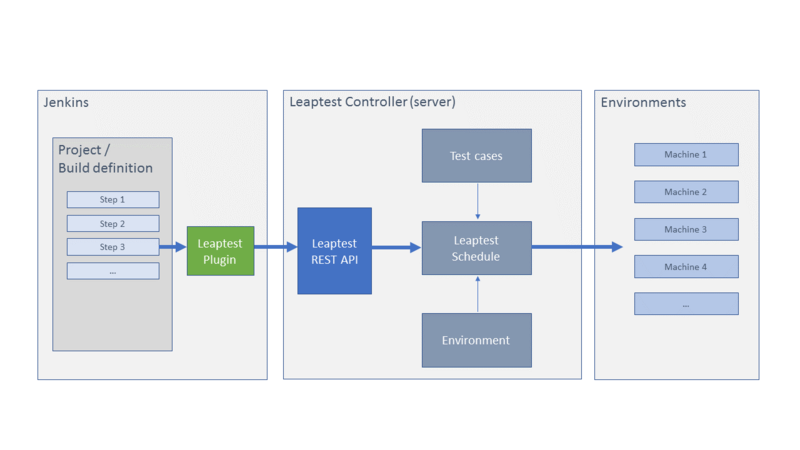 In this example, we’ll use a Controller installed on the local computer (localhost) on port 9000 and assume that a schedule called “test” has already been created. Step 1: Open a command-line environment such as PowerShell in Windows, Terminal in OSX or eg. bash in Linux. Step 2: On the command line, make an http request to the controller to get all schedules on the Controller. Step 3: Identify the “Id” of the schedule. The json contains a lot of information about the schedule. However, for this example all we need is the “Id”, which in this example is “4c369cea-a10d-4c33-8db5-f0f5a7977218”. Step 4: Make an http request to run the schedule now. The response code should be 200 and if you open Studio and look under “Scheduling”, the schedule should already be queued for execution. 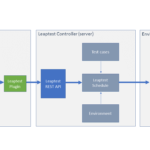 Read more about how to integrate LEAPWORK with third-party systems and learn how to use the results of a scheduled run in a real-life scenario.